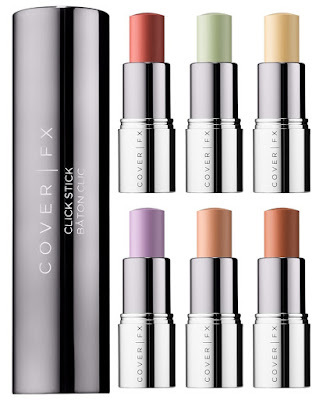 Pick, click and go with Click Stick from Cover FX! 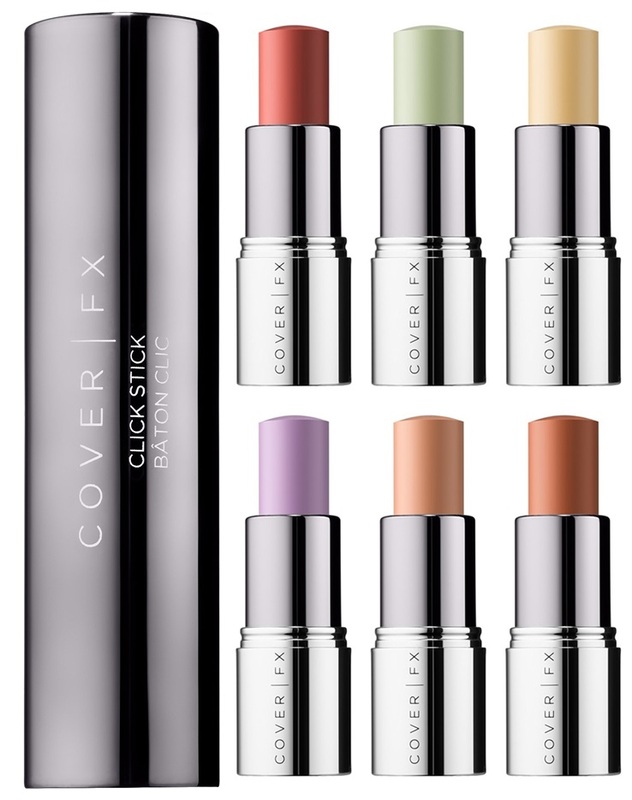 Cover FX introduces customizable portable beauty with their new Click Stick to correct, cover and enhance with a simple click! Correct Click - 5.5g - $24 - in 6 shades: Green - to correct redness, rosacea, blemishes for light and medium skintones; Yellow - to correct purple, redness for light and medium skintones; Lavender - to correct yellow, sallow shin, adds brightness for light and medium skintones; Peach - to correct blue/purple, dark spots for light and medium skintones; Orange - corrects blue/deeper purple, deep grey, dark spots for medium deep skintones; and Brick - corrects blue/black, ashiness, dark spots for deep skintones. Cover Click - 5.5g - $24 - in 24 shades from porcelain to caramel - a stick form of the Total Cover Cream Foundation that offers full coverage foundation and concealer in one easy formula for all-day radiance. Now you're going to look at the tiny little stick which makes it so wonderfully portable and think "this isn't enough foundation to last me a week" - but appearances are deceiving - there is half the amount that comes in the compact in this little stick and you know how long the compact lasts so you are going to be good (and covered) for a long time! Enhance Click - 4.8g - $24 - in 6 shades: Candlelight - deep coppery bronze; Celestial - pale glistening pearl; Bubbly - soft rosy peach shimmer; Golden Peach - peachy pink shimmer; Rose Gold - rosy bronze; and Berry - iridescent rosy mauve - accentuate and define facial features with illuminating shades that give a subtle radiance with a hint of colour. that travel easily in a Click Stick - $10 - a dual ended sleeve that carries any two Cover FX Clicks - switch them out to keep your face perfect wherever you go!